Creating is easy. 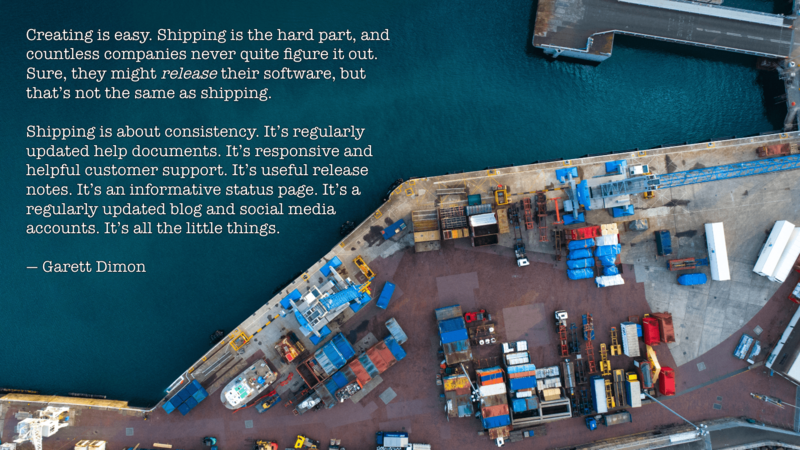 Shipping is the hard part, and countless companies never quite figure it out. Sure, they might release their software, but that’s not the same as shipping. No company is perfect, but it makes a big difference when they genuinely care. Shipping is about consistency. It’s regularly updated help documents. It’s responsive and helpful customer support. It’s useful release notes. It’s an informative status page. It’s a regularly updated blog and social media accounts. It’s all the little things.